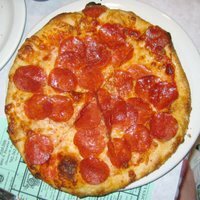 Standout Tidbit: The “Pizza Hall of Fame”, a series of displays featuring the history of pizza around the walls of the restaurant. 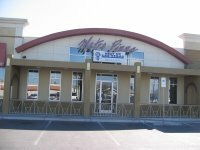 Review: Before heading out to Las Vegas for a long weekend with “the guys,” I did a little research to find some good “off-strip” pizza places to sample. Numerous responses on a few Vegas-related message boards mentioned Metro Pizza as a favorite. I checked their web site and it seems that Metro Pizza has received many “Best of…” awards since they opened their first location in 1980. I quickly put a trip to Metro at the top of the list of places to try. It helps that it is quite easy to get to from the airport. Just take Paradise Road to Tropicana Road and head East for a mile or so to Maryland Parkway. Walking in the door I was surprised by what greeted me. I guess I was expecting more of an “old-school” type pizza parlor – maybe kind of dark, maybe a little dingy, maybe a little attitude. Instead, I felt like I had walked into a modified California Pizza Kitchen. 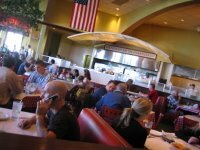 The restaurant felt new and was spacious, clean, bustling, family friendly, and a slightly upscale. The happy wait staff was wearing black pants, white shirts, and ties and welcomed us with fresh bread after showing us to our seats. The tables were covered with white butcher paper (with the obligatory crayons, of course). The open kitchen with the Pizzaiolos and their ovens was along a back wall, for all to see. Another wall featured a full bar with a bright, stylized cityscape mural. The lunch special featured a personal pizza, salad, and drink, so all four us decided to go that route. When the za arrived, the pies were well cooked. The mildly-flavored crust was pretty thin and had some nice bubbling and charring. The sauce had a good, fresh taste, and a nice texture to it that wasn’t too smooth. The cheese was a little saltier than I like, but overall, the first slice was a pleasant one. The issue we all had with Metro’s pizza was the fact that it was REALLY greasy. Normally, I am one who enjoys the little orange drippings, which can be a sign of a high butter fat content in the cheese. This was a little too much though. When the pizzas arrived the crusts were nice and crisp on the outside. In a few minutes they were quite soggy from the pool underneath. The worst was my brother’s pizza. He had ordered pepperoni and couldn’t eat more than 3 small slices due to the overpowering grease factor. I think I got through one more than he, before the film on the roof of my mouth was too much to continue. 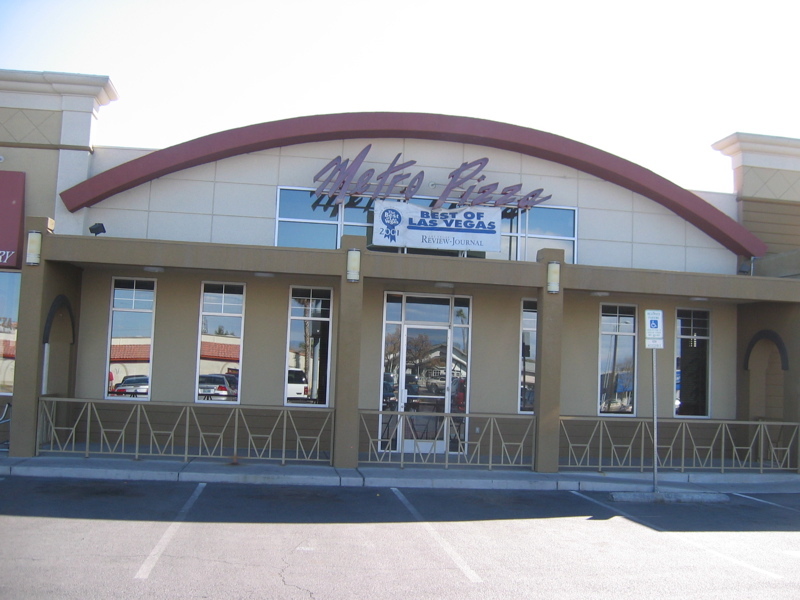 We were concerned that this was what many consider to be the Best Pizza in Las Vegas. The restaurant certainly was crowded with both business lunchers and family-types. Perhaps I will stop in again on my next trip and try something other than the special. They apparently cook a a variety of pizza styles. I guess it is possibly that they don’t offer up lunchtime discounts on their best offerings. For this trip, however, we were SO done with Metro. I really needed to go brush my tongue. 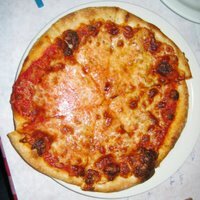 This entry was posted in New York-Style, OK, Thin Crust and tagged New York-Style Thin Crust, OK. Bookmark the permalink.